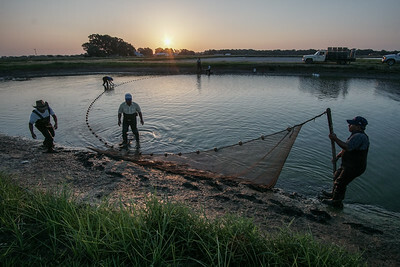 Workers seine fish during sunrise from a pond at Pool Fisheries just outside of Lonoke, Arkansas June 23rd, 2016. 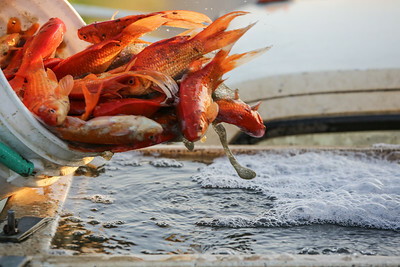 The company is one of the biggest breeders of goldfish in the country. 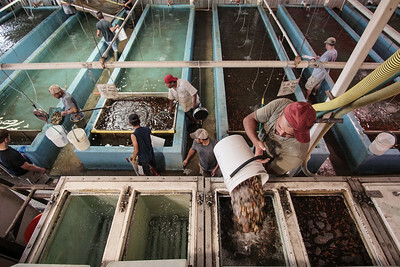 The fish are then loaded into trucks which take them to the factory for sorting and spawning. 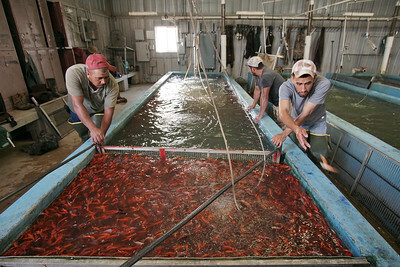 The company provides around eighty percent of the goldfish for pet stores in the United States. Water fills spawning pools where the fish breed and lay eggs. The company is family owned going back three generations, when it was started right after the Great Depression. Nets full of eggs are taken out of the spawning area where they will then be transferred to ponds so the fish can mature. 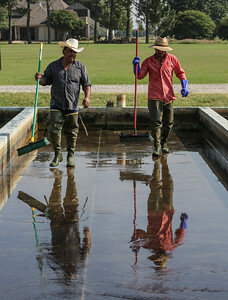 Workers finish cleaning the spawning area. Pool Fisheries are the exclusive supplier to more than 1,000 stores in the Petsmart chain, and — via wholesalers — they supply the vast majority of the fish found at big retailers like Walmart. Fishes are sorted by size using a special grate so that smaller ones can swim through, allowing bigger ones to be trapped and easily gathered. 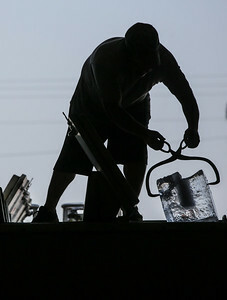 They are then loaded onto special trucks with refridgeration. Currently, Pool Fisheries ships around 5 million fish per week. Ice is added to the water to slow down the metabolism of the fish, making them more lethargic so they can survive the ride. The company has also diversified, raising not only goldfish. A whole wing of their warehouse is dedicated to growing "fancy" fish and other species like tadpoles, Black Moors, koi, and other specialty breeds. 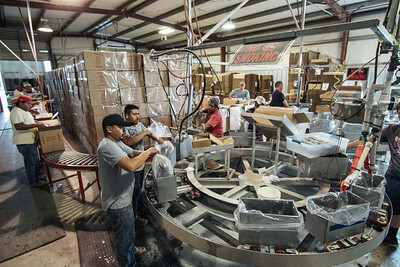 Here the company prepares their weekly shipment to Petsmart. 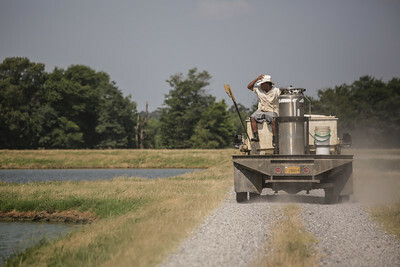 Pool Fisheries is FedEx's largest customer in Arkansas, flying out 110,000 pounds of fish every week to cities nationwide. 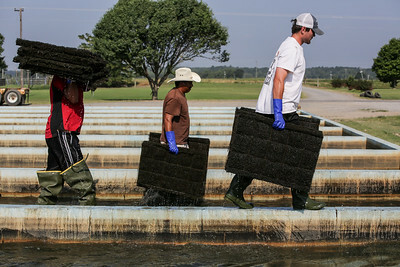 Workers head back after seining fish from some of the 1,150 acres of ponds across the company grounds. Although business has been steadily growning, when asked about the future, current owner Donny Pool says "During the '80s, most people only had three television stations, they only had maybe four or five radio stations. So, at night, they enjoyed watching their fish. That was part of their entertainment. Then computers came out. You got AOL, and the computers started getting faster. As the computer technology got better and better, people started spending more time on computers and less time messing with their aquarium ... Now, if they want to see fish, they just put it on their screensaver."